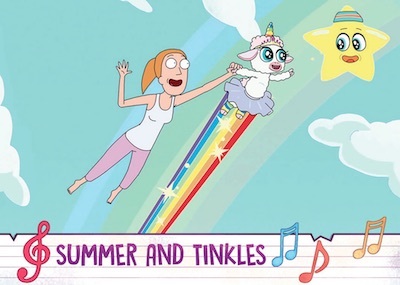 Hot on the heels of the very successful Season 1 set, 2019 Cryptozoic Rick and Morty Season 2 wastes little time getting back to the wacky adventures of Rick Sanchez and Morty Smith. 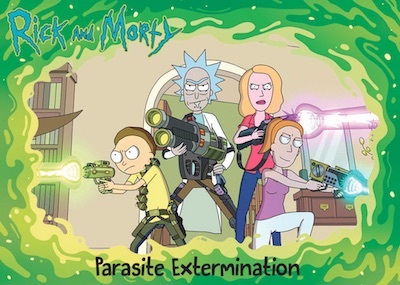 In comparison to the Season 1 product that featured signed cards at 1:48 packs, Season 2 appears a bit more favorable to collectors as each Hobby box averages one autograph and one sketch card. 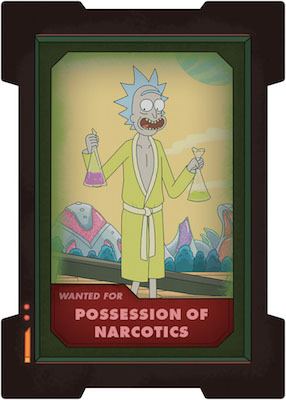 The 2019 Cryptozoic Rick and Morty Season 2 checklist offers 45 base cards with full coverage for all 10 episodes from the second year of the series that debuted in 2015. 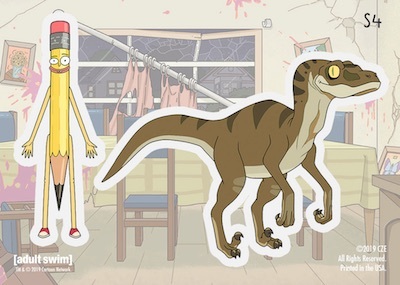 Inserts include Beth Knows Best, Characters, Crimes of Rick Sanchez, Face the Music, Interdimensional Cable II, Stickers and Totally Fabricated (Fake Memorabilia). 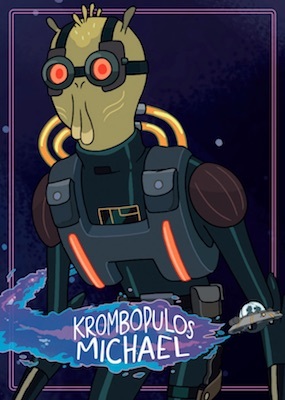 In addition, the official Cryptozoic Rick and Morty Season 2 binder contains an exclusive Totally Fabricated card. 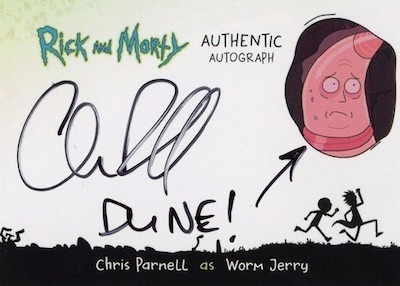 For the second season of the trading card set, the signer's list is again led by Justin Roiland and Chris Parnell. 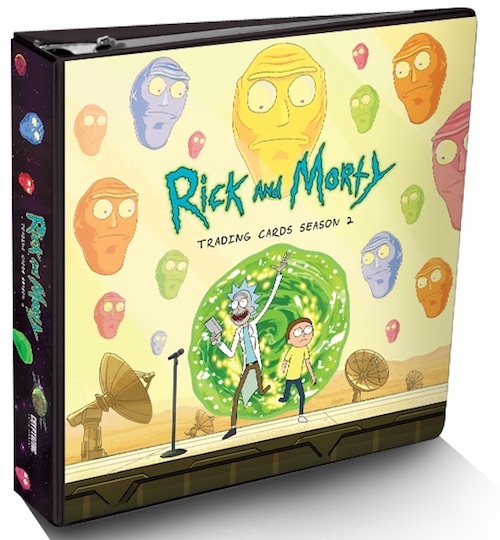 Also, most collectors will be thrilled by the decreased odds for Cast Autographs (1:24 packs) in Cryptozoic Rick and Morty Season 2. 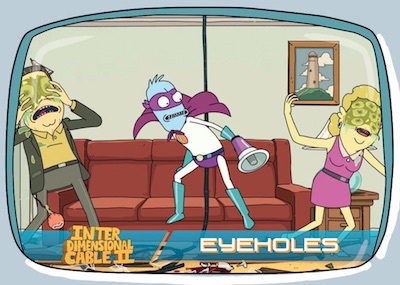 The hand-drawn Sketch cards are also a box hit at 1:24 packs. 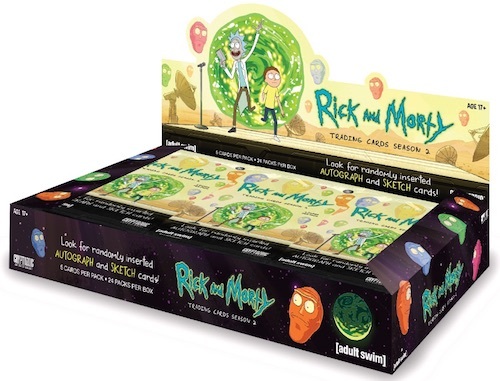 PARALLEL CARDS: Silver Foil (1:3 packs), Plumbus Deco Foil (1:8 packs), Printing Plates 1/1 (1:424 packs). 58 cards. 1:24 packs. 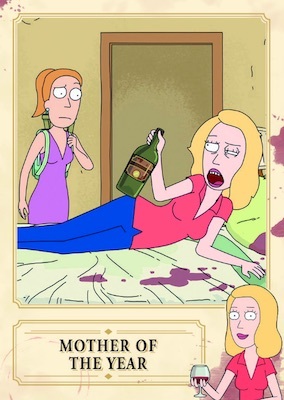 Not all cards are #'d. 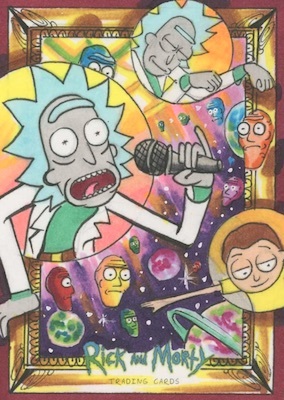 Buy Rick & Morty Season 2 autographs on eBay. Versions: Red (1:144 packs), Blue (1:288 packs), Gold #/25, Black 1/1. IDC11 How Did I Get Here?